The criminal defense firm of James S. Friedman, LLC, offers services to other criminal defense attorneys. Please contact Mr. Friedman if you require local counsel for a criminal matter in any state or federal court in New Jersey, or if you require assistance preparing appellate briefs. Local Counsel - Do you have a client with a state or federal criminal case in New Jersey that you want to represent, rather than simply refer to a local firm? Are you seeking local counsel that is thoroughly familiar with the unique rules and procedures governing New Jersey criminal practice? James S. Friedman, LLC, is available to serve as local counsel for any criminal matter that an out-of-state attorney or law firm may have in any New Jersey state or federal court. The referring firm acts as lead counsel throughout all phases of the criminal matter. 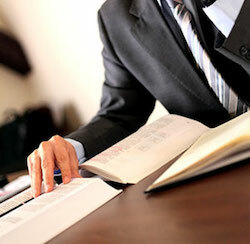 Attorney James S. Friedman acts purely as local counsel, and handles all administrative aspects of the case. Mr. Friedman is sensitive to the need to follow all directions of lead counsel, and continually reports back to lead counsel concerning the status of the matter. If you have a need for local counsel in a New Jersey criminal matter, contact New Jersey Criminal Defense Attorney James S. Friedman today to discuss your case. Appellate Briefs - All attorneys work under tight time constraints. As a result, we all require occasional assistance in preparing effective appellate briefs. Criminal defense attorney James S. Friedman can help meet this need by preparing appellate briefs for attorneys representing criminal defendants on appeal. With proven research skills, considerable drafting experience and access to extensive library resources, Mr. Friedman can draft an appellate brief for any state or federal appellate court in the United States. The referring attorney acts as lead counsel, controls all communications with the client, and appears at any required oral argument, while Mr. Friedman assists by preparing opening and reply briefs. In other words, your relationship with your client remains undisturbed. Please call Mr. Friedman to discuss your need for an appellate brief. Contact us online or call 800-361-6554 (toll free).